One family residence located in the heart of West Chelsea. The existing building was significantly enlarged in order to create a 6 story mansion with an elevator. The building’s lot dimensions are 19x100 ft with a total area of 7,500 sq. The cellar level is extended to the full size of the lot and includes rear windows, a sunken garden with a sauna, a steam room and a recreational area. 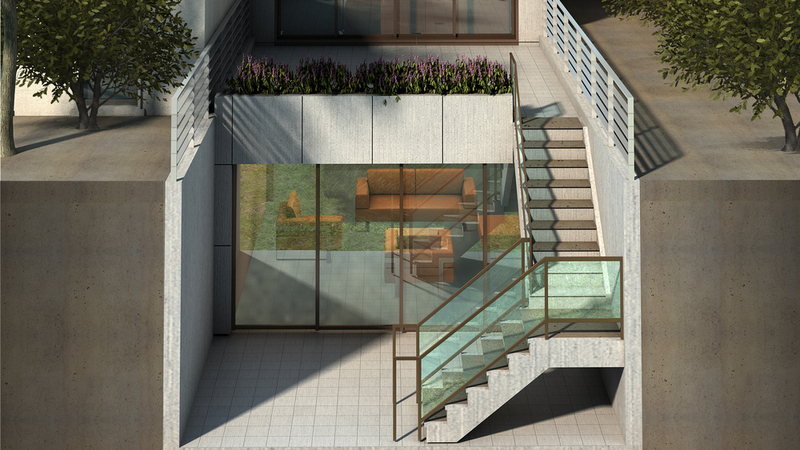 The projected 7,500sf of usable space have a garden level kitchen, a dining area and access to the rear garden. The first floor level is composed by the living room and entertaining area and fully removable rear windows open to the exterior rear garden. The second floor has an home office area and a playroom. The third and fourth floor have incorporate two bedrooms. The full floor master bedroom with a bathroom spa is located on the fifth floor and has access to the open roof area with a Jacuzzi.